Recent studies revealed that people with bipolar disorder and anxiety disorder are more likely to be suicidal, experience psycho-social problems, and abuse drugs. New research shows that people with bipolar disorder who also suffer from an anxiety disorder are more likely to consider and attempt suicide, experience psycho-social problems and abuse drugs. Published in the Journal of Psychiatric Research, the study also revealed that bipolar patients who experienced comorbid anxiety disorders had double the rate of emergency room admissions for depression related to their primary condition than their counterparts. Bipolar disorder is characterized by a fluctuation between periods of mania and episodes of depression. The severity ranges, with the unpredictable mood swings varying in duration and triggered by different factors. The cause is unknown, though the condition tends to occur more frequently in families with histories of the disease. 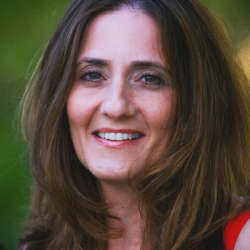 Examining the relationship between the two psychological disorders, bipolar disorder and anxiety, lead researcher Regina Sala, MD of the New York State Psychiatric Institute at Columbia University, and her colleagues evaluated the symptoms and treatments of 1600 bipolar adults registered with the National Epidemiologic Survey on Alcohol and Related Conditions. Of the total 1600 patients, 1172 met the criteria for bipolar disorder type I and 428 for bipolar disorder type II, with the first type indicating a greater severity of the disorder than the second. The scientists found that roughly 60% of individuals with a primary diagnosis of either bipolar disorder type I or type II also experienced an anxiety disorder once in their lifetime, and 40% suffered from two or more throughout their lives. Bipolar patients who suffered from an anxiety disorder had a much higher likelihood of suffering from psychosocial problems, such as work-related issues and interpersonal relationships, and substance-abuse problems. This group also experienced a higher lifetime risk factor for more severe bipolar symptoms, such as more depressive and manic episodes and more suicidal thoughts and attempts. They also were more likely to seek treatment and mental health services that those with bipolar disorder alone. Anxiety disorders account for a host of conditions marked by excessive stress that interferes with daily life. 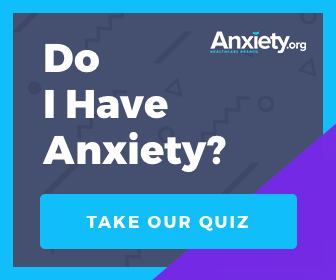 While certain traumatic events may trigger the emergence of an anxiety disorder, sometimes the onset is not clearly definable. Research is ongoing to determine biological and environmental factors that make some individuals more prone to developing the condition than others. Given the results of this study, the authors recommend early detection and treatment of anxiety disorders in patients with bipolar disorder to improve the overall outcomes for these patients.